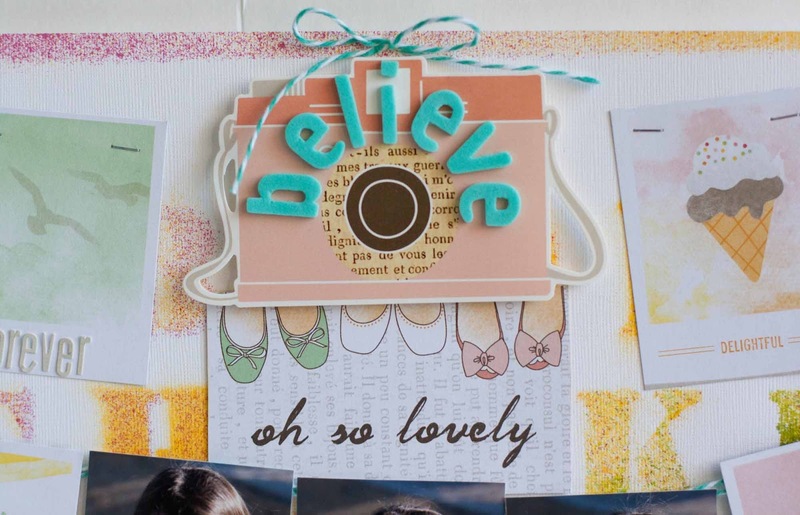 There are a FEW Scrapbook Circle March kits left. If you want one, I would hurry on over to pick one up HERE. Last month's kit sold out, this month's add on already sold out. I just finished my favorite layout from this month--my EIGHTH layout! 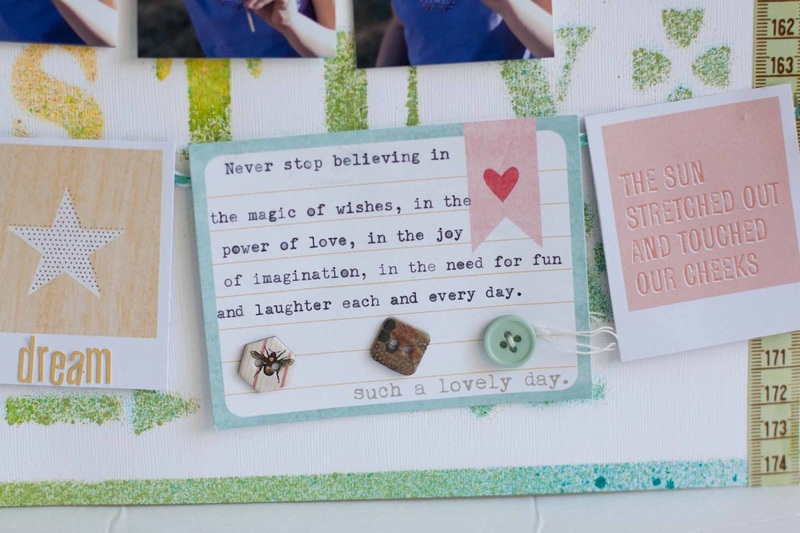 Remember the Jenni Bowlin stencil paper from THIS LAYOUT? Well, when I misted the stencil paper, I first adhered it to white cardstock with Therm O Web Removable Zots. Once the mist was dry I peeled the Zots off and saved the masked cardstock for today's layout! I fell in love with the Dear Lizzy stuff --so soft and pretty. The Mind's Eye journaling card seems to fit right in! Well, we are still battling illness here (it is apparently MY turn, SIGH). So I am off to bed! Have a great night! my ds can not pass a dandelion without picking it for a wish. he wishes for important things in life; such as, playing video games for as long as he wants. LOL!!! it's fun though- "wishing flowers" make me happy.. as does your LO. it's absolutely adorable. love the misted page and the fun embellies. I LOVE this layout.... Love all the elements you put into it! You totally rocked this kit! WOW REbecca this layout ROCKS!! !